Here’s an original 1954 Alhoa 16ft travel trailer housed inside of a 6000 sq. 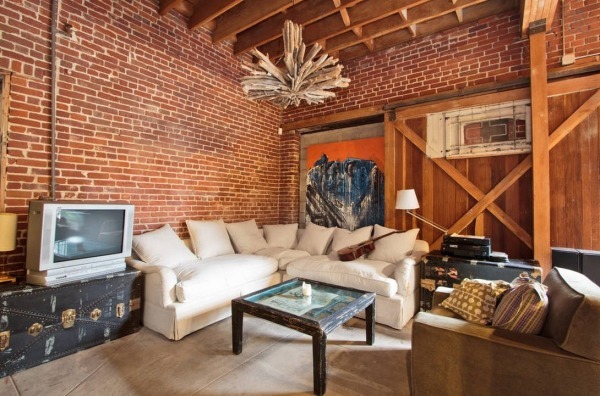 ft. converted warehouse in downtown Los Angeles. Best of all, you can stay here if you’re ever wanting to be in the Art District of Downtown LA. The trailer is used as an extra bedroom for guests. I can’t help but think of a similar warehouse set up with tiny houses on trailers. Plus an area to of course design and build more of them. Just a thought. But either way I think you might find this place to be pretty darn awesome. If you enjoyed this Alhoa travel trailer vacation in this 6000 sq. 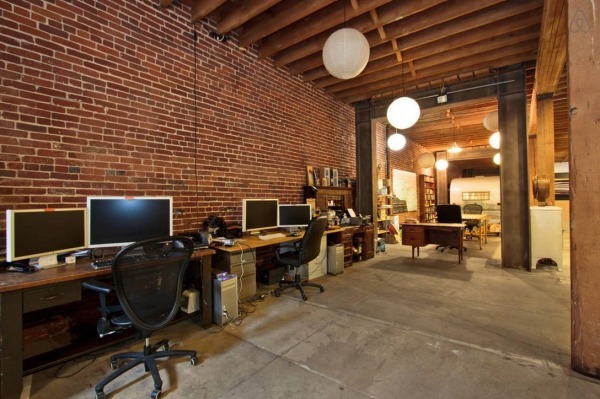 ft. converted warehouse you’ll absolutely LOVE our free daily tiny housing newsletter with even more! Thank you! Love the care and detail these older trailers had–why and when we lost this in designing these sorts of mobile houses I dunno. Hi comet. I do too. (love the care and detail these older trailers had) I have a 22 1/2 ft 1986 Sunline travel trailer. that I bought right off the show room floor almost 30 years ago and just love it..While many at the campgrounds are going on their 3rd or forth trailers in the same time, I’ve been there. It seems each time They trade up , They are getting so much lesser product for their money and paying more for it. Mt little second home has 2 doors a picture window. and other windows on all 4 sides. a 4 burner cook stove with a real oven (you don’t see that anymore) and over 25 storage compartments including the closets, drawers . built in shelves and nooks and carnies…. It’s like a little 1950’s mobile home all in one neat package. And it’s all very cozy inside, especially on rainy days. and it’s all paid for as well.. Why can’t people just be happy with what they have , (when they may have already the best, Instead of trying yo keep up with the “Jones’ ” what a waste…And unnecessary big footprint to leave behind..
Wow! Have your cake and eat it, too! An adorable tiny house and a huge indoor yard to spread out. Who has to clean that thing? Sorry, just waxing practical for a moment. I”ll snap out of it. Love the garden space, and what a clever idea to hang a swing! This is really unique in concept and design. I would love to see it in person to get an visual idea of the space involved. Thank for sharing! I have thought about something similar, especially with the uphill tiny house zoning battle (too) many still face. An exhisting storage building or warehouse with power and plumbing is a possibility for “stealth” existence. My thought was to build one of those relatively inexpensive steel buildings/garages plumbed and powered. Park the tiny home or camper inside, hook up and done. Mine would be a double or triple garage to have room for an indoor “yard” and secure vehicle/toy parking. Next post: Surf Bus: Trying Out Tiny Living in a Cozy Camper Van?